Hello April, hello Spring! I know spring officially started on March 20th, but with the crazy weather we’ve been having, it sure didn’t feel like it! Although the temperatures continue to fluctuate, I know warmer weather is on the way. I’ve officially turned off the heat and by next week I will start to put away the winter blankets, coats and other winter gear. Yay! In this month’s Lifestyle Friday post, I’ll share with you some fun, simple and easy Easter decoration ideas for your home. 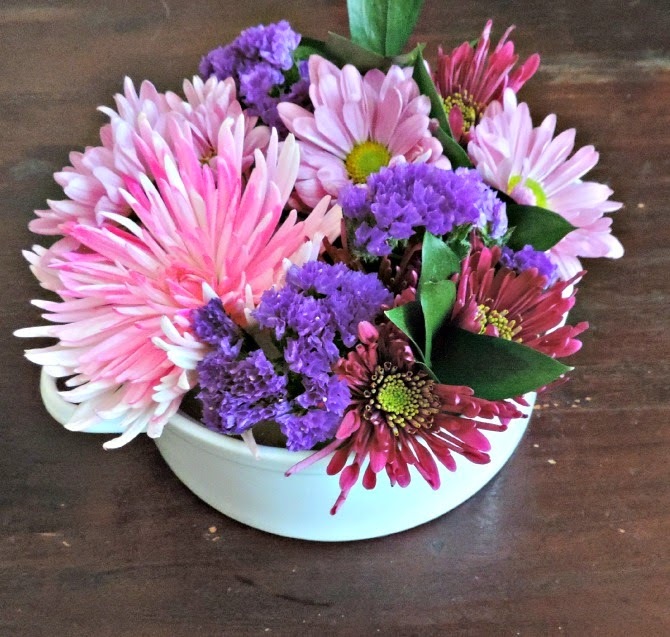 Forget the soufflé…turn a casserole dish into a happy basket of spring florals for the table! Cut the floral foam to fit (available from Michaels Stores). Soak in water until moist and place in dish. Use the back of a pencil and make holes in the foam for the stems then pack in flowers tightly so that there are no gaps. I chose not to add a handle, but if you want to, loosely twist two or three branches together. Secure ends with floral wire and insert into the dish. I simply love this earthy color palette – created with drops of ordinary food dye! Use egg molds #E090, #E095, #E423, #E427 available from lifeofthepartymolds.com. Mix 3 tablespoons of water with 2 pounds of ultrafine sugar until it reaches a packable consistency. Add 2-3 drops of food color until desired color is achieved. Tightly back the sugar mixture into the mold half and smooth the top as much as possible. Lay cardboard over the top of the mold, press down with one hand, while holding the mold with the other and flip. Gently remove the mold. To make solid eggs, fuse the egg halves together by brushing the exposed edges with egg white. This is a cool craft idea. You can use embroidery floss, string, yarn or even raffia ribbon. Prepare a bowl of stiffener mixture (mix 1 cup of liquid starch with ½ cup flour). Gently coil the embroidery floss or string into the bowl. Blow up balloons to the desired size. Wrap the embroidery floss around the balloon (use multiple colors if desired). Let the finished product dry for several hours. Once dry, pop the balloon. Make a garland and hang several eggs together. 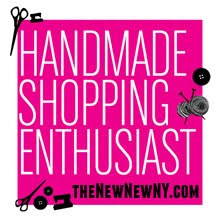 Alternatively if you don’t have time for DIY, you can always shop ETSY! 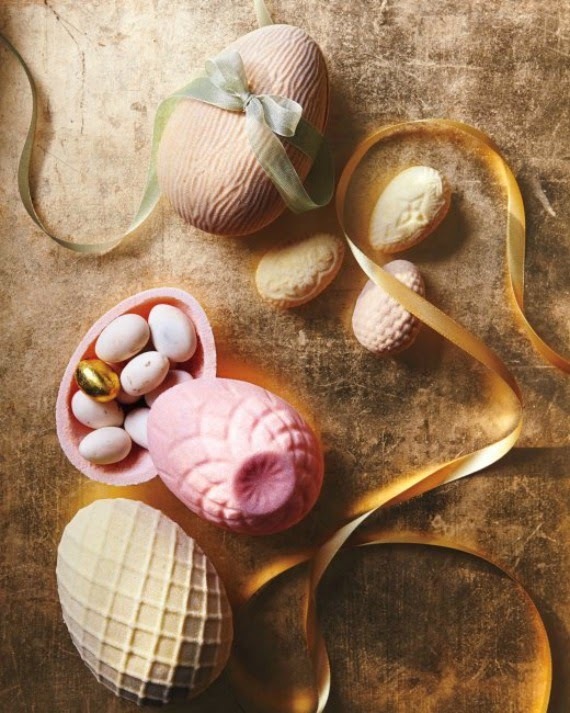 Here is a collection of some of my favorite Easter themed finds. Do you have a favorite Easter DIY décor idea? Share it with me in the comments below! 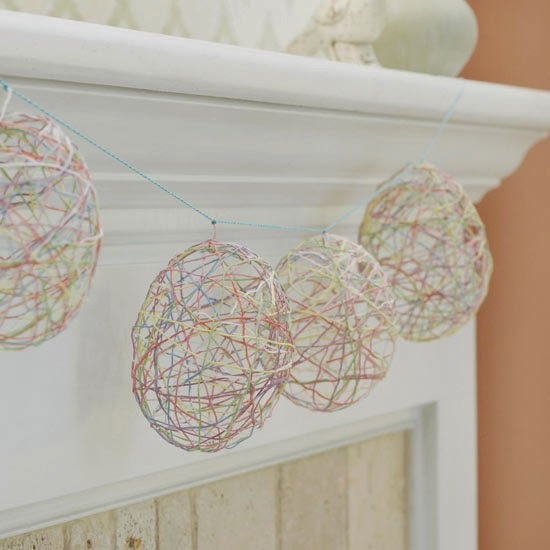 I really like the egg garland idea, I think I'll give it a try! Thank you for your comments - I hope you do get to try these DIY crafts in time for Easter! 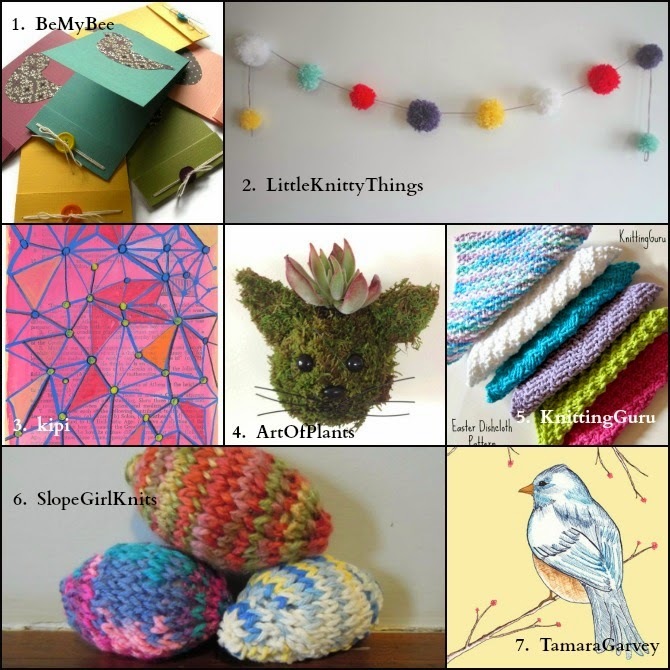 Thanks so much for including my birdie cards! I LOVE the egg garland, I'm going to try making it today, it's so cute.